Well , yes ladies, it is a big , a really big problem standing all day. I’m telling you this from my experience because I’ve worked a lot standing. So, if you have to stand-up all day then you need the right shoes for the job. If your feet hurts at the end of the day that means you don’t have the proper shoes. And you know, same times it’s kind of tricky because my feet don’t hurt until I get home and sit down for a few minutes. Yes, this means I need as soon as possible a comfortable pair of shoes designed specially for someone who is standing up all day. To stand up over 8 hours per day is not at all easy. Obviously, if you are wearing high heels you will make things worse. Actually there are many types of jobs where you have to stand up all day, so if you are working in sales, as a waitress, nursery, security guard or postal services then this article is very interesting for you. a. Obviously, flats or very low heels shoes are recommended. b. The shoes you are wearing should let your feet breathe. It’s best to choose an aerated pair of shoes. c. Try a pair of shoes with gel incorporated. Indeed, a specific characteristic of ergonomic footwear are gel insoles. They can provide you a lot of comfort. d. Grip on any terrain – Yes – exactly – is a very important aspect in my opinion. It is very important that your foot will not slip that, whatever you wherever you go, that’s more protective for the calf and foot. If you have a shoe without grip leg muscles will make an extra effort to sustain and then you will have more fatigue. So pay attention to this aspect. e. Is it fit? How well you feel in it – how fit they are. Perfect fit is the ideal variant for a perfect best shoes for standing all day. Yes i know it is hard to find such thing but you must try. Indeed if you will not feel comfortable in them then your feet will hurt and this is not OK.
f. How light they are – If those kind of shoe is heavier your feet must carry all that surplus weight from your shoes and that is hurtfully on a long run. g. Easy to match. Here is a very important aspect- because according to your job you will have to have this pair of shoes to match it accordingly. If you want to feel comfortable and don’t end up crazy from the pain when you got home in the evenings then you must search for the best brands of shoes specially made for feet comfort. From my personal experience I recommend New Balance, Geox and Asics in this order. 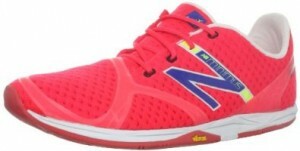 New Balance are a huge brand in comfort and running shoes, actually i do not know the numbers but , I repeat , in my opinion are the best by far. 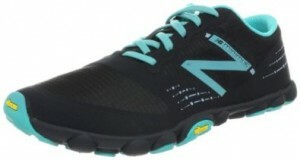 They have a lot of new aspects in this area , Zero height difference between heel and forefoot, ideal for the neutral runner who wants to take control of the road, also odor good technology, New Balance said that they give you ” the bare foot feel”, yes, kind of, but anyhow are great if you must stay long time standing on concrete. Indeed Geox is another important brand, it is not cheap , but they declare that they give a lot of importance to feet comfort. They said that they create a “shoe that allows the foot to breathe”. 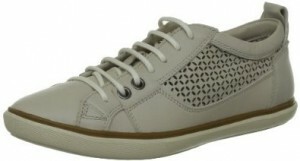 No matter that it is a street shoe or a running shoe Geox implement a very comfortable technology for the feet. It is an important brand focused especially on sport shoes, but , important is that this company really take this seriously. They invented DuoMax Support System – A dual density mid sole system positioned to enhance support and stability, positioned sport specifically. Also bring us Impact Guidance System (I.G.S.) 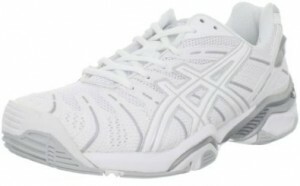 – ASICS design philosophy that employs linked componentry to enhance the foot’s natural gait from heel strike to toe-off. 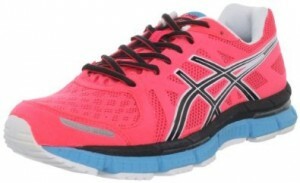 So , good comfort and very light weight shoes. Being comfortable isn’t a sign of being spoiled, your feet health, your good mood through the day and a right healthy posture are strictly related with what king of shoes you are wearing. In conclusion, it is recommended to choose a pair of quality shoes and most of the times, although not always, a pair of shoes made by a well known brand is a guarantee to receive the quality level you are aiming for.